Waite is beginning this Thursday, the 27th of October! 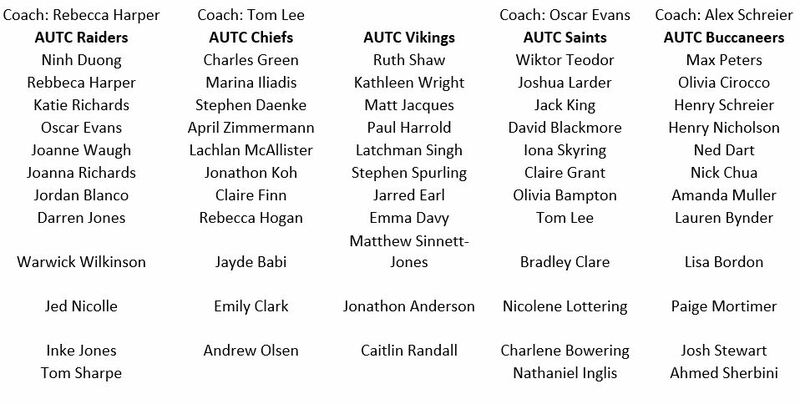 AUTC has entered five teams this season, and these are listed below. For game times and locations follow this link. 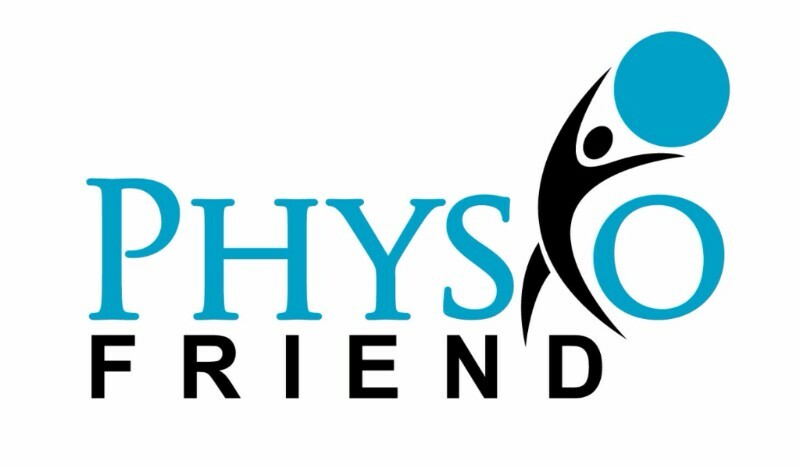 We would like to remind you that Physio Friend will be providing assistance every Thursday. Strapping and tape can be purchased from our volunteer Physios. We would like to say a huge thank you to all our coaches and players for the 2015/16 season. We hope you enjoyed playing for our club this season and that you plan to stick around. 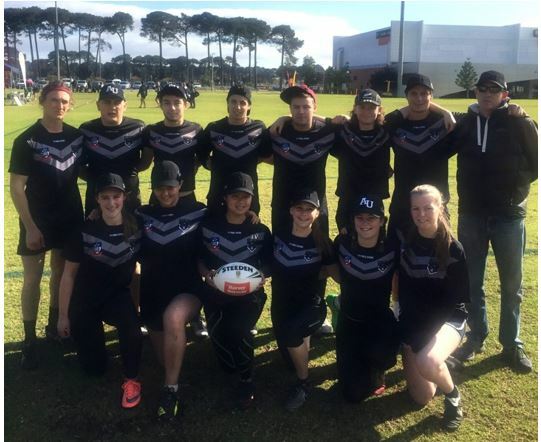 After receiving word that Deakin Uni had pulled their mixed team out of the competition due to mascot issues and that Adelaide Uni were the next team to qualify for a spot in the Australian University games the hunt was on to compile a team for the trip. With Jordan Blanco managing recruitment, the team was hand-picked from some great sources and also a few from bad sources. Once the selection process was complete the final team to be sent away was a mixture of touch football veterans and many touch football rookies, but all showed a glimmer of what it takes to have good Unigames spirit, and under the reign of big Mark Jones anything was possible, and the team new it. At the airport it was all smiles amongst the team but with some team members introducing themselves with 20 minutes before departure it was clear that this team may have been a touch underdone due to the short amount of time they had together. None the less the team boarded with high heads and bubbling excitement. The week’s formalities begun with the first Kangaroo court where the fresh faced Duke and Duchess laid down the law to whispers from some of the rookies, “what have I gotten myself into?” Then it was the big day, the first day of the tournament. The mood around the team was of nervous excitement with many members of the team never playing a competitive game of touch before. Then out of nowhere big Mark Jones comes in and settles the nerves with his pre match speech demanding the everyone focus on the team’s processes. Under the watchful eye of the President who had graciously disregarded his tenpin commitments for the day, the team went about getting pummelled by some other Uni’s. After a tough day on the field teamed with the whole squad coming down with the same illness (symptoms of being very congested in the nose), team morale was low. The second night of Kangaroo court started with rookies from the outback going out of their way to provide a medical remedy for the team nasal congestion issue, it was a great display of team spirit especially after the day that they had. Kangaroo court continued in a sombre fashion… enter two Uni Game veterans of the highest order in Lachlan McDonald and Lachlan McAllister who gave the house a shakedown. The real team bonding begun and relationships started to evolve. What happened on that night will be kept to those who lived it. 6:30am the next morning at the bus stop there were bone rattling ‘hi fives’ getting thrown around by all team members, more ‘pats on the back’ then you could ever imagine, the team was now one and boy did we play like it. The team played with synergy and the work rate had lifted as we now wanted to work, we wanted to run, we wanted to hurt for each other. With all this team spirit we still had another day of large score lines against us. Before anyone had a chance to think about being negative and drop their heads out of nowhere big Mark Jones comes in and demands that we stay positive and get around each other. 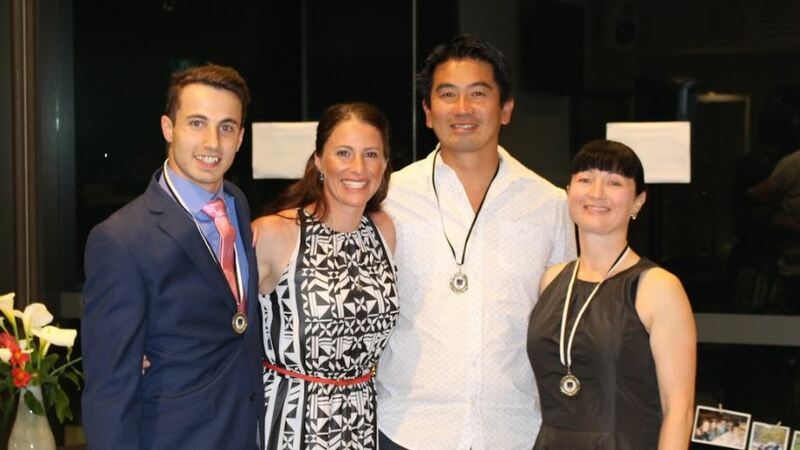 With the post-match speech in everyone’s mind at the third night of Kangaroo court, the session was highly energetic and with a brutal display by April Zimmerman with the wooden spoon the team was ready to get around each other some more. The next day was the halfway point of the tournament and the team begun to put some of the pieces together and we finished our first game of the day with a draw against Curtain Uni. After this result the team was ‘up and about’ and everyone felt like superman, we started to realise what potential we had. 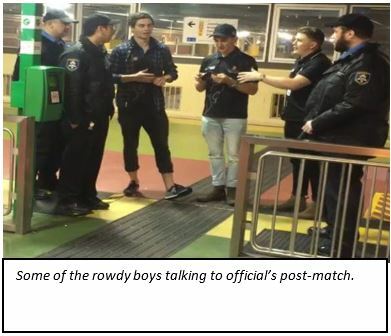 We may have got ahead of ourselves and this type of attitude backfired in the following match where our structure in the midfield was getting torn to shreds by these punks from Sydney. Then, at the half time break, out of nowhere big Mark Jones comes in and looks at us like he is looking for Wally in our souls and gives one of the biggest Unigames sprays of the modern era. It still gives me shivers down my spine to this day. Golly was it effective though. After another evening of getting beaten around at Kangaroo court with a wooden spoon the team looked to put everything they had into the last two days of the tournament. Moments before the game against Victoria University out of nowhere big Mark Jones introduces a new pre match chant where there was a larger physical aspect. This new chant brought scintillating energy to the team before the game and some of the boys started to throw their weight around and it was on. After a highly aggressive and sparkling start to the game we got a small lead into the half time break. At this half time break the energy was off the charts, it was through the roof, unexplainable amounts of energy levels were on display at this particular half time huddle. In the second half the team brought the noise and we kept the ‘foot on the throat’ until they ‘stopped kicking’ and ran away comfortable winners. This game set the tone for the remaining matches and we ended up finishing the tournament with three wins on the trot. We celebrated accordingly. Looking back, the team has grown and developed together and by the end of the week they had more gel between them then there is in a tub of Vicks Vapour Rub.